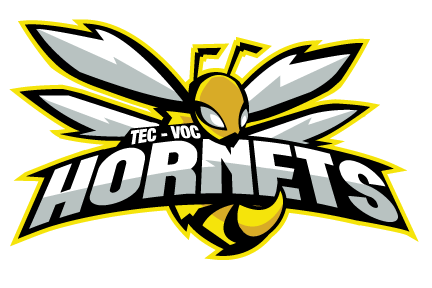 The Tec-Voc Hornets return 6 players from last years squad. 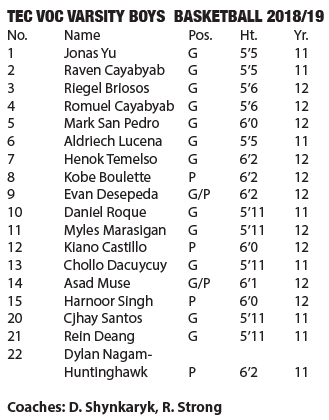 Led by our dynamic 1-2 punch of Henok Temelso and Myles Marasigan, this year’s Hornets look to continue with some of the success they started last year. Mark San Pedro and Riegel Briosos will provide quick, tough play up the court and look to push the tempo with their speed. Evan Desepeda and Kobe Boulette will patrol the paint and finish around the basket. Daniel Roque, will be our 3 point specialist after getting his first taste of the WIT last year. The other new additions will bolster this experienced roster and provide an influx of speed and shooting. 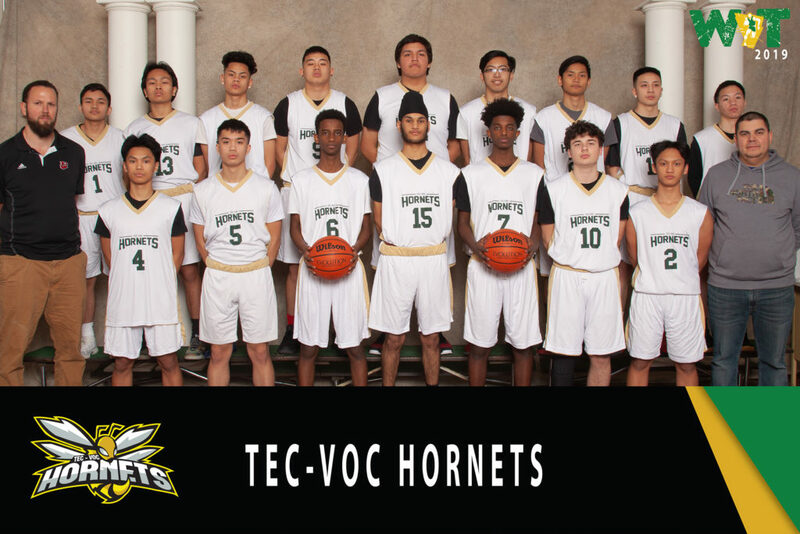 This years Tec-Voc Hornets have a great variety of talent. We have quick players with a tenacity to get to the rim. We will look to push the tempo of the game and kick the ball to open shooters. This makes for a very fun, entertaining style of game. It should be an exciting year. Our goals this year is to continually improve and build upon what we’ve done the last few years. Getting ranked 10th last year was a huge confidence boost for our program and we look to continue to drive that success and push our limits. A strong work ethic is something the Hornets pride themselves on.